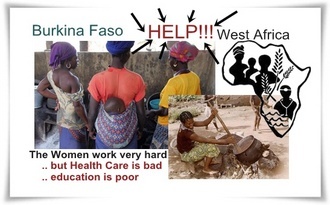 Shea Butter - how women in the Middle East get rid of Stretch Mark. 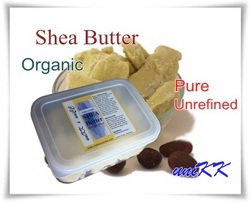 Our customers from the Middle East are purchasing our ORGANIC Shea Butter by the kg. What other 'Intelligent people advise' as you can find when you google? Stretch marks most commonly occur as a result of pregnancy due to stretching of the dermis resulting in breaking of the connective fibers, microscopic bleeding and tissue inflammation. Hey - "if you got the doles, we have the means"; which leave those who cannot afford the extra money to seek alternatives. Er, one thing to learn (in Singapore and all over); to use surgical means to reduce fat is a health risk - sometimes 'FATAL'. Your mothers and fathers would have advised you a long long time ago - 'Don't eat to much (over-eating); exercise more (don't just lie around after food) and get yourself healthy and fit! And we, now grown up as parents - are possibly giving the same advise our parents gave us; except some of us are just doing 'lip-service', we give good advice that we are not able to follow! Hence, if you want the extra layers of fat - PLEASE EXERCISE! Otherwise, forfeit the right to overeat! If you take a cream rich in vitamin e and massage it into the skin daily, it will really help. This stimulates blood flow as well. Doing this on cellulite ridden areas may also help in the appearance of cellulite. I did this and have really noticed a difference! Good luck! I hate to say this...but you can put all the cream on that u want, but the ultimate determiner of stretch marks is your genes! If your mom has stretch marks, u probably will too. I put on anti-stretch mark cream for my whole pregnancy, and just like another woman said, I thought I was in the clear, until 4 weeks before my son was born. My son is now 18 months and my stretch marks look MUCH better, but unfortunately they are still there. I would still suggest to use the creams, but just be realistic about their outcome...GOOD LUCK! My advise is to just wait it out. Eventually they will fade and you won't notice them much. I have pale skin so when they turned silver, they pretty much blended in. There isn't anything you can do to prevent them. Your genetic make up will determine wither you get them or not. Don't worry so much. It's out of your control. Enjoy life with your new little one. Shea Butter - nature's gift to promote healthy, radiant skin...even Baby doctors are using on babies tender loving skin to rid of nappy rash. One thing for certain - God wants us to live a life of abundance, that's why we receive good gifts from God : "Children are a gift from God"! Surely He is not giving you a good gift and then 'punish you by giving you 'awful looking skin' when you claim your free gift! Therefore, what He had created (the birds and the bees, plants included) so that we can benefit from them - Organic Shea Butter from Shea Nuts is one of the good things in life for us to enjoy our children after birth too!